19 Apr 2019 Comments Off on Poofy Organics Earth Day SALE!!! ***Starts TONIGHT (4/20) at 12:01AM EST. ***I will refund all shipping on orders $200+ (AFTER THE 15% OFF YOUR ORDER MUST STILL BE OVER $200). ***I am NOT offering 1/2 price shipping this round, SORRY! ***Sale ENDS 4/22 at 11:59PM EST. ***MUST USE CODE, no exceptions. ***I will be giving away TEN $20 gift certificates, selected randomly from all who shop during the sale. ***ONE DAY CBD SALE! It will ship separate from your Poofy order, but always free shipping. All CBD orders will also be entered into the drawing for the 10 gift certificates, so please do confirm your order went through. *** Again, just one day, 4/20 12:01AM EST -11:59pm PM EST ONLY take 10% off with code CBD42019. 30 Mar 2019 Comments Off on Free Egg Dye Kits with qualifying purchase! 22 Mar 2019 Comments Off on Poofy Organics by Jess 10% off sale! I’m offering 10% off any Poofy Organics order placed using my link, through this Sunday night (3/24), for those who are not able to make it until the Earth Day Sale which is a month away! 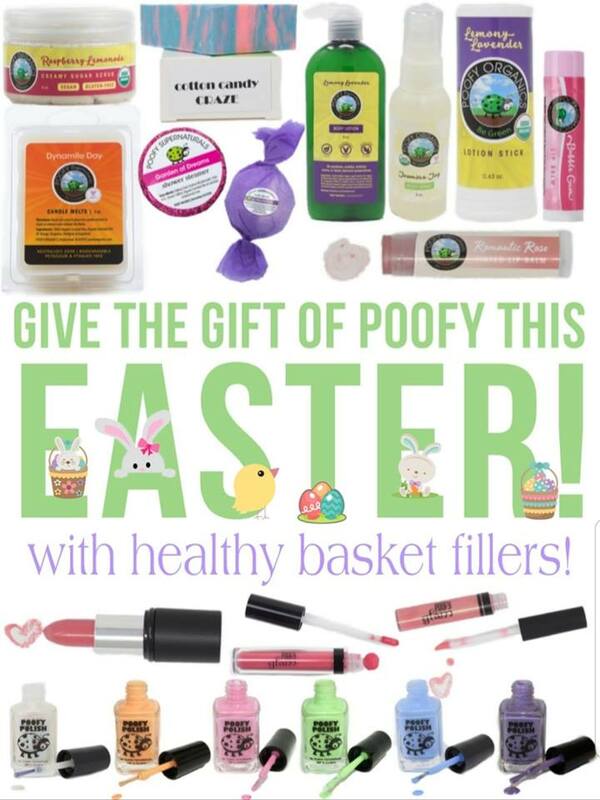 Also, that will fall after Easter, so I wanted to remind you that Poofy has many great, safe Easter basket fillers! For my Son’s recent 8th Birthday, he absolutely loved the Poofy package I put together just for him, it included: bath bombs, bar soaps (cotton candy & bubblegum), lip balms and his own bottle of lotion. Poofy Organics 1 day sale!!! 30 Jan 2019 Comments Off on Poofy Organics 1 day sale!!! One thing that makes me love this company so much, as a woman myself, is supporting a fellow woman-owned business. Poofy was started by Kristina, in her basement, in an attempt to stay home with her Son instead of returning to teach college classes. It has taken her over a decade & more hard work than we know, to get Poofy to where it is today. I personally have never, ever been happier with all that Poofy stands for. Day in, Day out. This isn’t a fad, this is daily life for so many of us.